Try this Quinoa Pizza Bites Recipe the next time you get your pizza craving. Each gluten free mini pizza bite is filled with cheese and pepperoni. 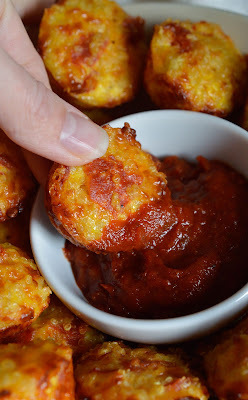 Dip them in pizza sauce for the ultimate appetizer, snack or meal! Spray 18 mini muffin tins with nonstick spray. Set aside. 0 Response to "Gluten Free Quinoa Pizza Bites Recipe"